President Lincoln's Cottage is a national monument on the grounds of the Soldiers' Home, known today as the Armed Forces Retirement Home. It is located near the Petworth and Park View neighborhoods of Washington, D.C.. President Lincoln's Cottage was formerly known as Anderson Cottage. 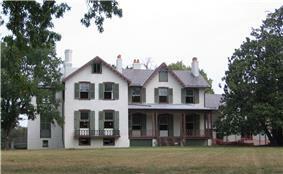 President Abraham Lincoln and family resided seasonally on the grounds of the Soldiers' Home to escape the heat and political pressure of downtown Washington, as did President James Buchanan (1857–1861) before him. President Lincoln's Cottage also served as the Summer White House for Presidents Rutherford B. Hayes (1877–1881) and Chester A. Arthur (1881–1885). The historic Cottage, built in the Riggs National Bank in Washington, D.C. Lincoln lived in the cottage June to November 1862 through 1864 and during the first summer living there, Lincoln drafted the preliminary draft of the Emancipation Proclamation. Mary Todd Lincoln fondly recalled the campus; in 1865, she wrote, "How dearly I loved the Soldiers' Home." 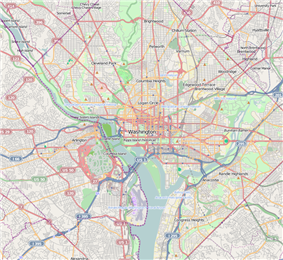 The Soldiers' Home stands on 251 acres (1.02 km2) atop the third highest point in Washington. 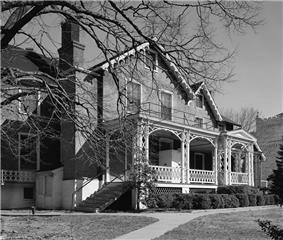 The Home was designated a National Historic Landmark on November 7, 1973, and listed on the National Register of Historic Places on February 11, 1974. In 2000, the cottage was placed on the National Trust for Historic Preservation's 11 Most Endangered list. Then about 2.3 acres (9,300 m2) of the Home was proclaimed a National Monument by President Bill Clinton on July 7, 2000. The National Trust took on the restoration which was completed in 2007. The Cottage exterior was restored to the period of Lincoln’s occupancy in the 1860s in a joint venture by the Philadelphia firm J. S. Cornell & Son, and Stephen Ortado, Historic Structures, according to the standards of the National Park Service. Today it is managed through a cooperative agreement between the Armed Forces Retirement Home and the National Trust for Historic Preservation. President Lincoln's Cottage opened to the public on February 18, 2008, as a National Trust historic site. A reproduction of the Lincoln desk on which he wrote the Emancipation Proclamation was commissioned by the Trust for use in the Cottage. The original drop-lid walnut paneled desk is in the Lincoln Bedroom of the White House. The desk is the only surviving piece of furniture that is known to have been placed in the White House and the Cottage during the Lincoln era. The adjacent Robert H. Smith Visitor Education Center features exhibits about the Soldiers' Home, wartime Washington, D.C., Lincoln as Commander-in-Chief during the Civil War, and a special exhibit gallery. President Lincoln's Cottage and Visitor Education Center is open to the public for tours seven days a week. Armed Forces Retirement Home: Washington, D.C.
Gothic Revival architecture in Washington, D.C.